The simple practice of mindfulness is an age-old meditation form, combining awareness of the present state with the breath, the body and the subsequent release of tension. 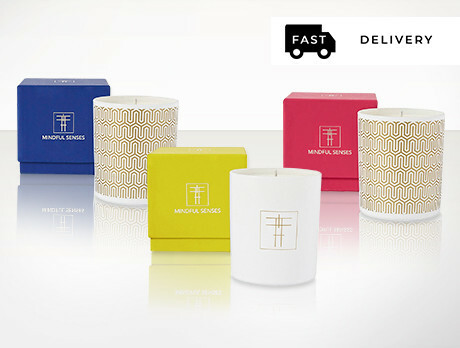 Helping you drift into the new year in a state of serenity are Mindful Senses Candles. With 'Hypnotic', 'Healthy' and 'Harmony' infused scents, discover tranquility in those hectic days.